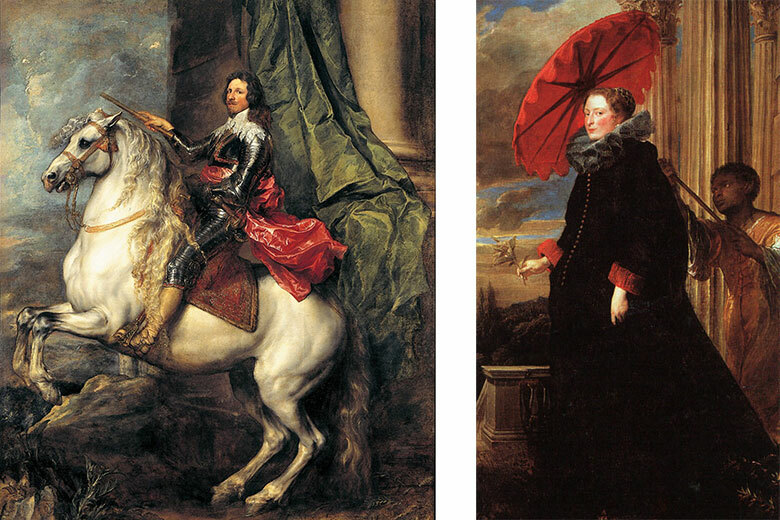 Van Dyck's works. From left: Il Principe Tommaso di Savoia Carignano - Galleria Sabauda, Manica Nuova di Palazzo Reale. Right: Marchesa Elena Grimaldi Cattaneo - National Gallery of Art, Washington - Widener Collection. A unique exhibition dedicated to Antoon van Dyck (Antwerp 1599-London 1541) is currently on exhibit at the Palatine Rooms of the Galleria Sabauda. Van Dyck, Ruben’s most famous student, revolutionized the art of portraiture in the 17th century. The official painter of the greatest courts of Europe, an internationally acclaimed figure and an amiable conversationalist with a refined style, Van Dyck portrayed princes, queens, patricians, noblewomen and members of the era’s most prestigious families. Divided into four sections, the exhibition features more than 50 works exploring Van Dyck’s exclusive relationship with several influential courts for which he painted numerous portraits, unique masterpieces renowned for their visual impact, chromatic quality and elegance. Musei Reali di Torino-Galleria Sabauda. Piazzetta Reale, 1 (Turin).